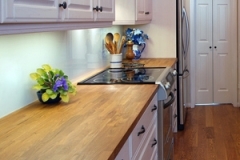 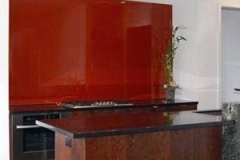 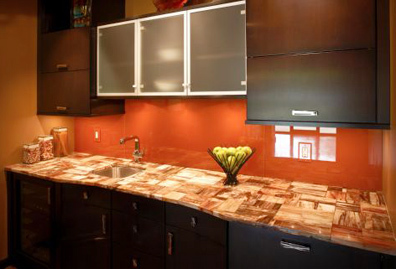 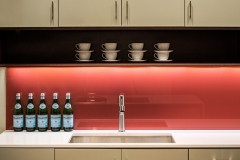 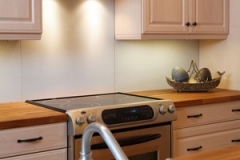 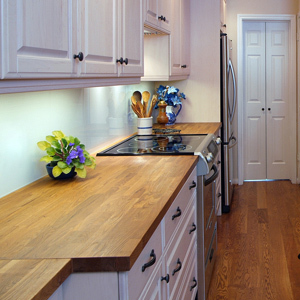 Color coated glass slabs are eco-friendly and have no grout lines. 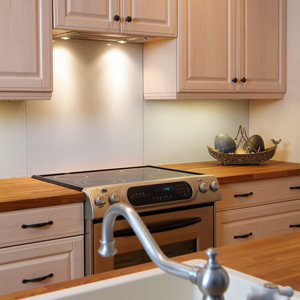 They make stunning back splashes. 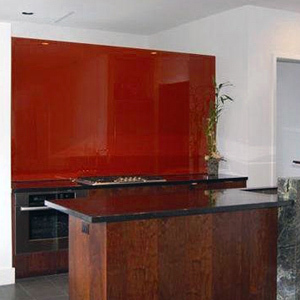 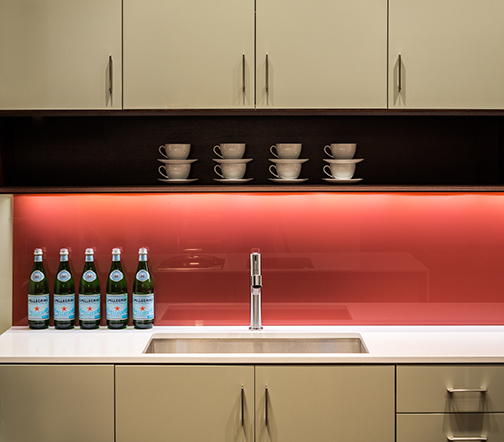 Color coated glass slabs with a satin finish bring warmth and elegance, while reflecting light and enhancing smaller spaces.